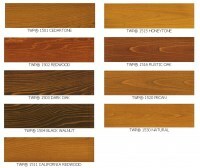 I'm looking at staining my new cedar deck using the 1500 series. A contractor who gave me a bid said he would use the 200 series, which I researched and it appears to be designed for shingles, etc., but can also be used on decks. 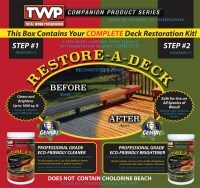 Question - what is the best series 200 or 1500 to stain the new deck? Does this stain have any UV protectants in it? All the colors have UV protection! Hi, How do I send for samples? Hi. My deck was built 3 years ago using yellow wood at which time I stained it with TWP Pecan stain. 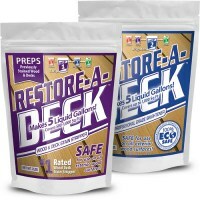 How should I prepare the deck for re-staining and which product would be best to use? I am located in Missouri. Also, this time I would like to stain the deck a dark (burgundy?) color. Would this be the Rustic color? Thank you. 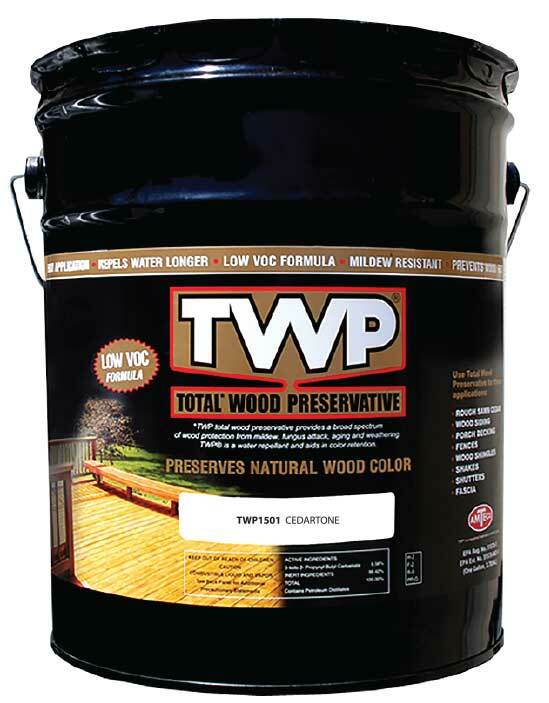 I'm in SE Indiana and I'm interested in the TWP 1503 Dark Oak stain. 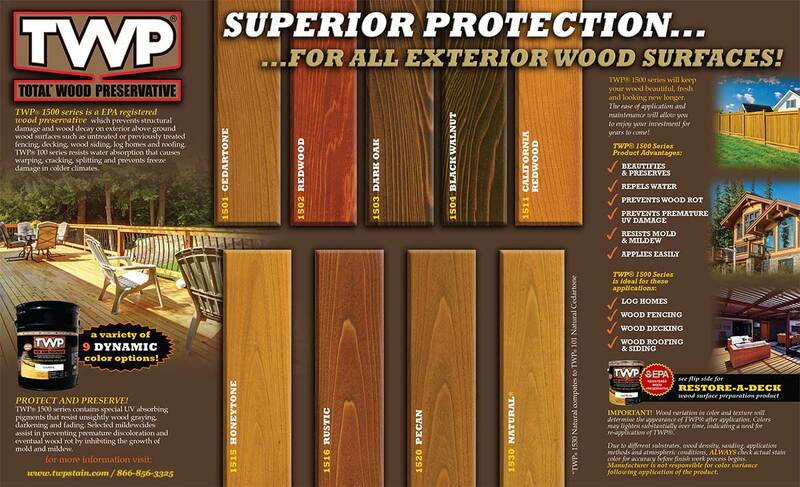 When dry, what kind of finish will it have (i.e. glossy, satin, semi-gloss, etc.)? 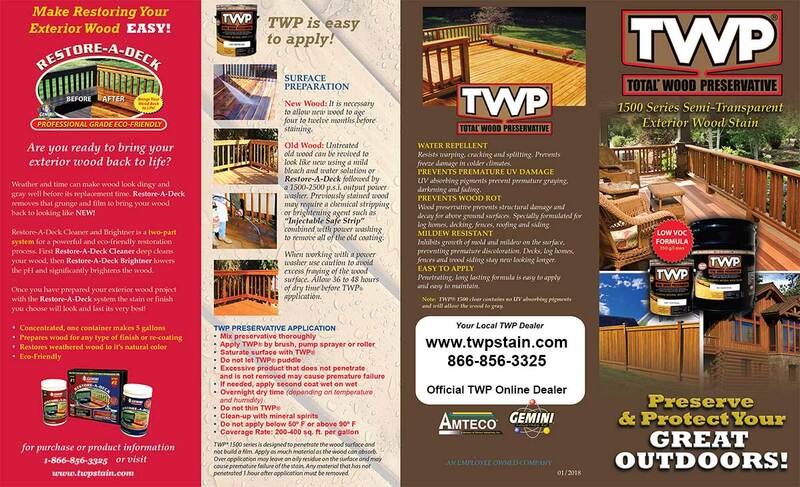 TWP is a penetrating stain. it is designed to soak in without any shine. Switching to TWP 1500 for my log home retaining. 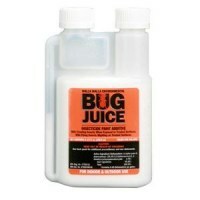 Used an oil based stain previously with mildewcide and a citronella based insect repellent. 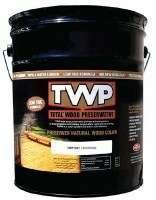 What additives do you recommend for the TWP products? Did I order 1501 or 1530 last March as I want to be sure I order the identical color as last order? We want a light color of the TWP 1500 Series. Which is the lightest? Honeytone 1515 is the lightest and Natural 1530 is the second lightest. I am building a new house with cedar shake peaks in it. 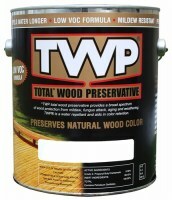 My painter said the best idea would be to stain all the shake with TWP before we install it on the house. Do you agree this is the proper method? And how many coats should we use? Would you recommend using a power sprayer for this stain. I understand nothing can beat the paint brush, but i was looking to save some time. Yes, you can spray the TWP, but you should always back brush or use a staining pad to ensure and even application.